A simple and easy dessert! 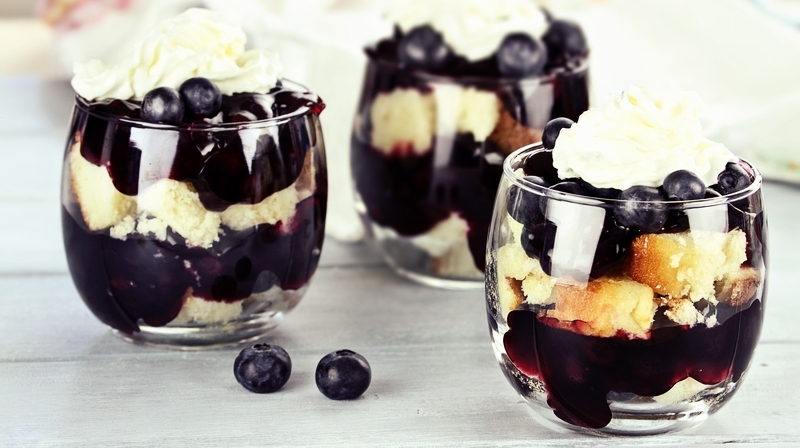 In a 2 3/4-quart dish, empty contents of blueberry aigre-doux into the bottom. Press the 4 cups of pound cake on top; let sit overnight, refrigerated. The next day, combine the cream, sugar and zest in a mixer with a wire whip. Whip the cream until soft peaks form; spread on top of pound cake. Serve immediately or chill and serve later that day.